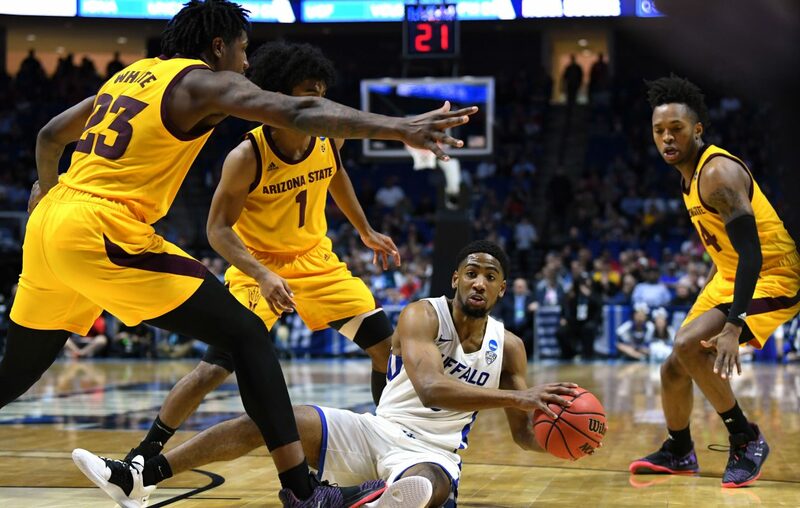 The University and Buffalo pulled off the daily double with victories by the men's and women's basketball teams in the NCAA Tournament. Those games -- much to the chagrin of UB supporters -- were played at the same time Friday, with the men beating Arizona State, 91-74, in Tulsa and the women beating Rutgers, 82-71, in Storrs, Conn. So, what do the TV networks have in store for UB on Sunday? Instead of the roughly 30 minutes between start times as there was Friday -- the men started at 4:10 and the women at 4:35 -- it's now 50 minutes. Fans still will need to flip between games. The UB men will face Texas Tech at 6:10 p.m. ET on TNT. The UB women face Connecticut at 7 p.m. ET on ESPN.